The world of oak furniture is one that provides us with some beautiful pieces for our homes or offices. Oak is a beautiful, solid wood with a lot to say for itself and also is extremely versatile. But how does it get to our home? 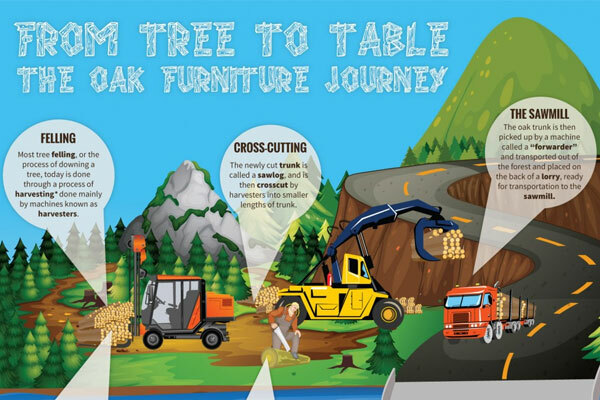 This infographic looks at the journey each piece of oak takes from tree to your living room and is a colourful and fun example that reminds us of the origins of the material. From understanding when the trees are suitable, to the kiln drying proves and factory design and production – we look at it all.